Here at Proper Cloth, we’re always working toward the Perfect Fit. From our shirts, to our tech, to our customer service - we want to be the best in the business. Having the most fun while doing it is an added perk! Do you think you’d be a perfect fit on our team? Come work with us in our sunny Soho loft! We value collaboration, honesty, empathy, and excellence for excellence’s sake. No task is too small or too big, and if we’re going to do something, we want to do it to the highest possible standard. Above all, we treat everyone with respect, and everyone's big ideas are encouraged. If this sounds like you, you’ll fit in great here. We are serious about everyone's personal and professional growth. Not only do we give our people the opportunities to build new skillsets, we give them the tools as well. From lunch-and-learn trainings, to one-on-one coaching sessions, we know that our people are our greatest asset and are proud to invest our time and resources into taking them to the next level. We like to work hard! And we reward hard work with some of the best perks around: Catered lunches, a stocked kitchen, cold brew and kombucha on tap, a clothing allowance (shirts, shirts, and more shirts! ), monthly team outings, full health benefits, and competitive PTO. Oh, and did we mention? We’re a dog-friendly office! This should go without saying, but to be absolutely clear, we are an equal opportunity employer and comply with all applicable federal, state, and local fair employment practices laws. We are committed to hiring the best people regardless of gender, sexual orientation, age, race, color, religion, disability, Veteran status, marital status, gender identity, and citizenship. From the beginning, great engineering has been core to Proper Cloth. Our ecommerce platform is built from the ground up to support totally custom, made-to-order clothing. We also build tools to automate and streamline business operations, and to analyze data for smarter decision-making. We're a small, core team building and continuously releasing new features and updates every day. We’re looking for extremely capable engineers that bring new expertise and ideas to the table. Many ecommerce platforms exist. What makes Proper Cloth’s unique is that it’s built from the ground up to support totally custom, made-to-order clothing. It’s this element of custom that makes what we’re building so powerful: we can quite literally produce a shirt in any style and any size. Quickly and cost effectively. Perfect fit becomes a reality and user experiences become truly personalized. Through it all we generate and collect data about fit and style preferences that other ecommerce companies can only dream of. We’ve only just begun to scratch the surface of what’s possible. With so many options, custom clothing can easily become overwhelming. It takes an intuitive, multi-layered front-end design to keep it simple and user friendly for novices, yet flexible for experts. Complex, data powered algorithms make custom sizing a snap. Sophisticated business process flows enable customers to help themselves without assistance. Powerful backend systems keep our operations team lean. Extensive use of data analytics and optimization help us continuously refine and improve our marketing, user experience and even physical products. We’re looking for an experienced, senior full-stack developer ready to hit the ground running. We have a long list of features and tools to implement by the end of the year and we need help to get it all done. You’ll be developing complex solutions for challenging problems. You’ll be turning wireframes and specifications into functional web pages and applications. You’ll be working with the entire Proper Cloth technology stack, including front-end customer facing features, admin tools and backend logic. This is a full-time position. We prefer candidates based in New York, but will also consider remote candidates. Strong HTML and CSS skills, with an understanding of front-end build tools. Experience with automated testing tools such as Selenium or Mocha. We’re looking for an experienced, senior back-end developer to make sure our infrastructure, back end code and dev-ops processes scale smoothly. You will be helping to design a scalable system architecture, setup and manage servers. You’ll be writing the code to handle complex back-end processes and optimize database queries. Scalability, stability and speed are incredibly important and we need someone who can help make sound architecture decisions and implement them. Creating backends that are effective, simple, well documented and scalable. We’re looking for an aspiring Product Manager to help manage development of the Proper Cloth technology platform. Over the last eight years, we’ve developed a fully custom ecommerce platform that powers the front-end shopping experience for our customers as well as the back-end functions for our operations team. You’ll be helping us add new features and refining existing function. Ability to communicate with users and understand their point of view. Desire to work in a fast-paced environment as a key contributor. 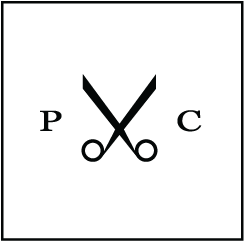 At Proper Cloth, we’re on a mission to create the world’s next great luxury brand. A brand with all the attention to detail, quality and exceptional customer service that you’d expect from a heritage luxury brand, but built on a platform of technology, leveraging custom fit, and made-to-order for a superior customer experience. We look up to companies like Tesla and Apple that have combined technology and design for beautiful, functional products, as well as the great menswear brands and retailers of the past. We’ve worked hard to create the best-in-class men’s custom shirt offering in the world, but we need to spread the word. It takes a great marketing team to help explain why what we do is so special. At Proper Cloth our in-house marketing team focuses on generating positive brand awareness, driving new customer acquisition, and continuing to engage with existing clients. Our approach to marketing is a fascinating blend of quantifiable, data driven analysis, and creative, qualitative thinking. This is a full-time position, or can also be a full time paid internship. You’ll work out of our headquarters in NYC and will travel from time to time. Work side-by-side with stylists, and our Head of Photography in the creation of product images for our website. Photograph product flats: learn and maintain our product flat set-up, lighting and styling to ensure consistency across the site. Retouch product flat images to ensure color accuracy and balance. Assist on set for editorial shoots. Manage the photo studio as well as in-house equipment. We are OK with a recent graduate who studied photography at an arts institute. Experience with digital photography systems. Experience on set and with strobe lighting techniques. Working knowledge of Photoshop, Capture One, Bridge, and In-Design. Bonus if you know After Effects and Premiere. Bonus if you have experience with video. A positive attitude and an eagerness to learn is a must. Submit your portfolio for review and on-set experience is a plus. We’re looking for a Senior Marketing Creative to join the Proper Cloth art and marketing team. In this role you’ll be working to conceptualize, design and execute meaningful advertising campaigns. You should be ready to utilize a strong framework of graphic design and employ thoughtful copywriting skills to tell our story. You will focus mainly on digital advertising platforms, but will also be involved in print, mail, outdoor, radio and podcast campaigns. You’ll be collaborating with our Head of Data and marketing analytics team to track success of different campaigns, and to refine them to be more effective. As a small brand, this role will also work directly with our Founder/CEO. This is a full time position based in our headquarters in NYC. An ecommerce business like ours has many moving parts and it’s the operations team that holds it all together: making sure items ship on time, products stay in stock, and inventories stay up to date. New products are constantly arriving from all over the world and being prepped for launch. Orders are shipping out to customers daily. With our volume steadily increasing there are always new challenges. We’re working hard to expand our custom shirt service to a global customer base and to add a range of new product types and are expanding the operations team to help do that. Work with the entire Proper Cloth team, learning about retail sales, operations, customer service and product design. The opportunity will require 2-5 days per week at the Proper Cloth showroom in SoHo for a minimum of 6 weeks. This position is based in New York and paid hourly. This is a position in our New York office. There's a good reason we have over 30,000 5-star ratings: our incredible customer experience team. We're a fun group, full of energy and stories. Every customer experience team member must go through our intensive training program to become an expert on shirting fabrics, styles and how to make a custom shirt fit perfectly. It’s a rigorous program because the customer experience team is standing by to answer the most particular questions about men’s clothing, to provide personalized style advice, to help customers create and tune their custom sizes, and to provide whatever support customers may need. 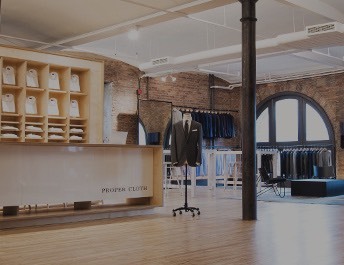 Proper Cloth is a fast-growing New York based start-up that is changing the way men buy clothes online. Custom fit, made to order dress shirts are our specialty and we're committed to being the absolute best at what we do. With an advanced ecommerce technology platform and state of the art on-demand manufacturing, Proper Cloth makes perfect fitting custom dress shirts as easy and affordable as off-the-rack. Named GQ magazine's "Favorite Online Shirtmaker" we've also been featured in the Financial Times, Esquire, Wired, Men's Journal, Monocle and the New York Times. As a CX/Ops Specialist, you will handle special cases that arise within the customer service and operations teams. You’ll manage various processes necessary to keep our operations running smoothly. You will be challenged with open ended problems that require coordination across various groups. You will handle escalated cases, investigate fraudulent orders, and coordinate complex operations with shipping couriers and international suppliers. Positive and eager to learn! This is a full-time, salaried position. You must be available to work five days a week. Your application will not be considered without a cover letter. You'll be instrumental in representing the Proper Cloth brand and assisting clients through email and over the phone. Wow customers with kindness and inspire them with stellar service! Learn all about dress shirt fabrics, garment construction, and how to design dress shirts to fit properly. We strive to deliver an extraordinary shopping experience, and as a Customer Experience Associate, this will be your specialty. This is a full-time position in New York. We're looking for another Showroom Associate to assist clients in our beautiful SoHo Headquarters. As a Showroom Associate, and a member of the Customer Experience team, you will be instrumental in representing the Proper Cloth brand in person. You will learn all about dress shirt fabrics, garment construction, and how to design dress shirts to fit properly. We strive to deliver an extraordinary shopping and ownership experience, and as a Showroom Associate, this will be your specialty. We're a small team of just 35 people and the right person has the potential to make a big difference. We're primarily looking for part-time hires (20-30 hrs/week) in New York City. We are open Monday-Sunday, from 10:00AM to 7:30PM. Weekend and evening availability is a must. At Proper Cloth, we get excited about beautiful clothes. Fabrics, shapes, colors and patterns. Drape and structure. Silhouettes and subtle details. We aspire to create some of the worlds greatest clothing and we have a small internal team dedicated to developing new fabrics and styles. At Proper Cloth, custom clothing is our specialty and we take perfect fit incredibly seriously. As such, we’re looking for a technical designer to help with improving our patterns and the fit of our shirts, jackets and pants. This is a very unique technical design position, much more specialized than compiling tech-packs and selecting trims. This position will focus on fine tuning the fit of a garment for a wide variety of cases. With fully custom sizes available to our customers, our patterns need to grade and adjust perfectly at extreme ends of the spectrum and for unique body types. You will be working with CAD tools, specifically Gerber Accumark Made-to-Measure, which enables automation of pattern modifications through advanced rule-based specifications and order creation. You’ll be working directly with our CEO, Head of Product Design, and some of the most sophisticated factories in the world to fine tune existing patterns, and develop refined solutions for extreme fit cases. This job requires a unique blend of architectural, structural design thinking, an understanding of fabric drape, and an engineering approach to problem solving. You will be translating 3-dimensional shapes to 2-dimensional patterns and vice versa. You will be working directly with sewing technicians and engineers to create software that can automate perfect pattern generation. Note: This position has flexibility to be Full Time, Part Time, or by Contract. We are looking for an aspiring Product Developer to assist our current head of Product Development. This person must have a love for product, fashion (particularly menswear), a keen eye for trends and fabrics, and has obtained some relevant product development experience. This position calls for someone that is extremely organized, is creatively driven, and has impeccable attention to detail.